The hotel was FANTASTIC – we stayed at The Breezes, the staff were lovely and friendly and really helpful. Mr A and I arranged a few activities (meaning Mr A told me what he wanted to do and I arranged the activities!) that involved white water rafting (this was purely a Mr A idea – but by the end of it, although we were all wet and tired I loved it! ), buggying (through muddy tracks and through 3 local villages) which I think Mr A was entertained at his “how muddy and dirty can I get my mrs?” challenge! Needless to say we finished this VERY dirty indeed – and by “we” I mean primarily me! Stay tuned folks… and before i forget: THANKS for ALL the wellwishes (for said trip) and your visits here in my absence! I wish you – whoever you may be dear reader an ultimate year! I hope that this year brings calm and peace to us all. That this is the year where we smile into the faces of loved ones and find what it is we’re looking for. I wish us all patience – patience that if the year starts badly hat things will get better… because they do – maybe not right away; maybe not tomorrow or next week or next month but everything does get better… eventually. Mr A meets a cousin! Last night I spoke to Zaen – he’s one of my first cousins. We generally chat rather often but I say that in the last few months or so we haven’t chatted at all. Maybe its because we’re both busy with work or maybe its because he’s got 5 kids all under the age of 12 (where 3 are under the age of 6 – yikes), or maybe it’s all the mayhem with mum, etc – whatever; essentially we’d sorta lost touch. Anyway the other day I thought about him and I was thinking that he’d such a snob for not calling me and really was a little overdue – so I gave him a call, left a message and called him an arrogant so and so for not calling his little cous(in). And so it began; I sat down and told him that naturally mum knows, that I moved out to Susi’s and then… well obviously everything. How Mr A’s parents are lovely. About him fasting with me this year – about why I suggested mum go on holiday if she didn’t want to mosque ALL together for eid. He silently listened and then said that he couldn’t believe my mum has said nothing to him about ANY of this. I told him that I seriously wasn’t surprised as I actually wasn’t allowed to mention it to anyone and not even suppose to talk to her about it as apparently I am then ‘killing her’. He didn’t know what to say – Mr A then walked up to me and was like; “oohhh – who are you on the phone to?” when I said that it was Zaen he asked if Zaen wanted to talk to him – and so they spoke!!! Granted it wasn’t a long conversation – just the basic salam and good to finally meet you. I am sorry that she (my mum) isn’t happy about us; but inshallah soon she will understand. Standard; please come to visit us in autralia; Mr A saying that we are building so inshallah he will be here either for our (civil) wedding and reception but if not then to come visit when we have our house; the good salam and then I got the phone returned to me! Haha – the call ended with Zaen telling me that he is going to call me again soon – as clearly he misses TOO many events when he leaves it too long! 23 Sep 2009 Enter your password to view comments. I am sometimes reminded how lucky I am to have Mr A in my life. I am sometimes reminded how much I may want to slap him across the head for his idiocy sometimes or throw something at him… and then he’ll do something sweet and I will be left baffled, awed and amazed by him! Last night I’m having dinner with Mr A and his family – we finish dinner with Mr A saying that he’ll clean up (because his mum cooked). I am standing there helping him clear away the dishes when he tells me to sit down and relax and watch some TV. I normally give my mum a call at about 6ish; letting her know that I’ve finished work, having a chat with her about her day, etc. On a Monday and Thursday my mum is fasting so I will generally call her at 8pm (so she can eat in peace and enjoy her food). So last night I called her at 6pm and her phone went straight to voicemail; which is seriously odd for my mum as she never turns off her phone. I try again every few minutes then again after dinner and then again just before 8pm. Each time I am becoming slightly more anxious (but totally trying to hide it) and each time all I get is her voicemail which tells me that the phone isn’t even on. Me: nothing – I just tried to call mum for the last 2 hours and I can’t get through – its like her phone isn’t even on. It just goes to voicemail. Mr A: maybe she switched it off? Me: she doesn’t know how to; it’s a new phone and she normally never has her phone off. Mr A: …. Ok (* putting down tea towel as he was drying dishes*); pop your shoes on – lets go. Mr A: We’ll go for a drive and see if she’s ok; come on. At this point I am telling him not to worry, that I’m sure she’s fine (although inside I am hoping that she’s fine – it doesn’t help that a week ago my mum was telling me that if she were to pass out or fall in the house no one would know that she would be bleeding to death with no one to help her… I know – melodramatic much?). Mr A is telling me that he is 99.95% sure my mum is totally ok and that there is some logical reason but that he’d rather I would definitely know that be wondering the rest of the evening. So we get into the car and drive over to mums – it’s a 25 minute drive (its not far but it’s not exactly down the road!). So we’re now on the way to her friend’s house (Mr A is telling me that I should get their mobile number in case this sort of thing happens again) – we are less than 2 minutes away when my mum calls! Me: where are you? 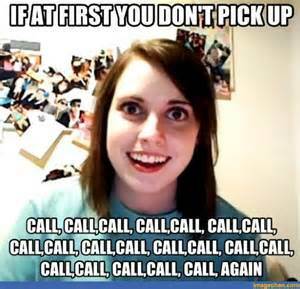 I’ve been trying to call you! Me: but I normally call you at 6; didn’t you wonder where I was? Mum: yes – but then something happen to my phone; maybe battery finished… and I didn’t know what to do. Me: well you’re phone is working now? Me: ok… well, me and Mr A drove all the way to the house to see if you were ok.. .he told me that I should check up on you and make sure… I left a note on the kitchen table. Mum: you came to the house – did Mr A come inside the house? Me: oh my god – surely that doesn’t matter? Who cares; he knew that I would be worried about you and wanted to come just in case. Mum: so he didn’t come into house right? Mr A: you looked like you were about to cry talking to her – is she ok? Mr A: what did she sau when you said that I drove you over to check up on her? I mean what am I meant to say? That she was more curious as to whether I let a man into the house? I know even know why she would care if he was or wasn’t in the house… I mean really… where do I go with this? I really need to get her overseas so it is one less thing for me to worry about!